Mazyar Lotfalian <mazyar.lotfalian@gmail.com>is a scholar of the anthropology of science, technology, and media. He is engaged in public space policy debates and the role that arts play in urban revitalization. After the events of 9/11, the Iranian filmmaker Mohsen Makhmalbaf released his film, Kandahar. Just in time after the US invasion of Afghanistan, New Yorkers lined up to see this film with great curiosity. Was Kandahar the movie an accurate representation of Afghanistan? Made by an Iranian filmmaker who once was an Islamist revolutionary in Iran and now a political exile, was it a critique of war and the rise of political Islam? Makhmalbaf contended that Afghanistan is a country with no “image.” ­­­Afghanistan’s lack of image (in the media, prior to 2001) has been due to a variety of reasons in the country’s recent history: the stricture and censorship by colonial forces such as Soviet troops, or the Taliban’s ban on image production, photography or painting. In addition, at the international level, there had been very little image production of Afghanistan until the defeat of the Taliban by US forces. Kandahar is a type of story that builds on three main elements, an Afghan diaspora in search of her identity, an assassin fleeing from the US, and a war amputee in Afghanistan. The film asks: how can we create an image for a country of no-image in the West? In Kandahar, Makhmalbaf addresses the question of representing or identifying a place at the outset of 20 years of war and destruction. If Alain Renais’ style in his iconic film, Hiroshima Mon Amour, is “false documentary,” I suggest that Makhmalbaf’s is that of “participant simulation,” where real people enter the world of imaginaries to play out alternative meanings that are arrested on the transnational circuits. Makhmalbaf uses a set of techniques or poetics modes of subversions to re-open dialogue and understanding. If Renais addresses the effect on the level of mnemonic reconstruction, by problematizing facile ways of representing a traumatic experience, Makhamalbaf addresses the reconstruction of places and people by prostheses (modes of externalities or technologies), retracing places through people and experiences, that are no longer whole, identified, and centered. Furthermore, he uses stereotypical images to generate and open dialogues with a contested past. Kandahar marks the beginning of a new era of image-production for the Islamicate cultures in the transnational landscape. Along with new modes of production and circulation, there is the question of what the images are trying to address. What technological practices, for example, are deployed? In the context of a new Cold War, one must address the question of the political ends of images. In the post 9/11 world, the Iranian diaspora has created an ecology of images that call for something like anthropology to understand. The Cold War between the US and Iran, which has pushed the two countries into mediatic politics and inhibited real dialogue, also presents the possibility of communication by other means. “Worlding” with images fills this communicative gap. In this article, I go beyond Orientalized and Self-Orientalized images of Iran and show a much more active agency from artists to create a different world. The space of image-making is heterogeneous. Various practices intersect with politics and aesthetic forms to give rise to images. Here different media types and technologies interconnect to create the condition of possibility of communicating through images. Here people manipulate images in order to present an alternative reality. In worlding with images, artists often contest a reality that is imposed on them by creating an alternative reality or dimension. Anthropological studies of space, since the late 1980s and into 1990s, have explored space as forms of disjunctive cultural flows, “transnational space” or “transnational circuitries” and “diasporic space,” where globalization of culture and production create its particular logic. Anthropology considers art objects not as bearers of meaning but as mediating social action. To look at Iranian production of visual art in transnational space is to study social action and politicized aesthetics, and by the same token, to study social action is to study visual production. Specifically, In the 1990s, Iranian cinema became transnational. First, Iranian films circulated at film festivals elsewhere and festivals in Iran brought other work into the country. Then, bit by bit, modes of production ventured beyond the national boundary, moving from the Toronto International Film Festival to Cannes and beyond. For three decades, Iranian cinema went through the thick and thin of reinventing itself and has not stopped. It became a voice for Iran to those in the West who had no firsthand knowledge. It also became space for cultural critique to experiment with cultural codes such as the veil, family relations, and war trauma. At times, what could not be discussed in public spaces could be fictionalized on the screen. Iranian films became a surrogate for a real dialogue between Iran and the rest of the world. After 2001, Iranian cultural production started to boom, expanding to underground music, painting, photography, and graphic art. These modes of expression built on the success of cinema and in turn have fueled intercultural dialogue. My attempt is to track this transnational expansion: the movement of people across borders, changes in the practices of museums and other institutions, the rise of digital technologies, and to show how all of these merge into a politicized aesthetics. Yet when I began preliminary work on this topic in 2001, the curatorial practice was sparse in the area of the visual culture of the Middle East; I was on the ground as it eventually grew to a large enterprise in New York City, Los Angeles, London, San Francisco, Paris, and Beirut. I have had an ethnographic relationship with many exemplary cases, focusing my discussion on them, yet knowing that I must omit many more. This study addresses Iranian visual culture in the transnational setting beyond the representational content – whether it is a national cinema, or Islamicate culture, etc. – instead it focuses on what people do with images. In short, image-making tends to create representational values, but it also has a playful value and aesthetic value. The two latter are different in that they are acted upon to generate forms of sociality. Politicized aesthetic and aestheticized politics are symptoms of political shifts. Jacques Rancière connects the uses of political aesthetic to a shift in representational politics that challenges established forms of visibility and invisibility. The contemporary Iranian image production in transnational space is an instance of this political shift, where the aesthetic enters into the political discourse. Iranian image-makers find themselves in the midst of a new Cold War, coping with what I call “meta-political space.” They try to generate expressive modes (poetic) that speak to their experiences of war, displacement, and a desire for new political identity. These expressive modes can become scaffolding for new forms of identity. Whether structural shifts are in politics or urban structure, Brian Larkin suggests that we should see them not only as architectural and physical, such as roads and bridges, but also in language, accent and emergent cultural patterns. This can also be seen in African films that evoke Diawara’s suggestion about “diasporic aesthetics.” There is also a parallel in “Accented Cinema” that Hamid Naficy suggested a couple of decades ago about a network of diasporic artists who use alternative modes of production to create their work of art. After Larkin, I interpret “cultural systems” of Iranians and “technologies” together in generating their “cultural ambition.” An obvious example of this cultural ambition, today, can be seen in the Iranian public relation stunt to install artistic rendition of “Cyrus Cylinder” as a giant sculpture in downtown LA in 4th of July, 2017. This is a fusion of aesthetics, materiality, and political publicity that get translated into forms of political dissensus. The reference to an ancient object (the cylinder) is to disrupt and neutralize the portrayal of Iranians as a variation in Muslim signifiers. This neutralization is not necessarily oppositional; Rancière calls it dissensus. “Cultural ambition” is a performative act that functions on this political dissensus. Objects such as Cyrus Cylinder can have social agency. Alfred Gell points to the social agency of work of art as they mediate social relations, and shows the connection between art and anthropology. Images as much as they are objects mediate social agencies: “I have just provisionally defined the “anthropology of art” as the theoretical study of “social relations in the vicinity of objects mediating social agency” – art object equivalent to persons. I concur with Gell that an art object’s production, circulation, and forms of practices that created it can be taken as a person who embodies experiences and agency to change a course of action. This allows us to understand the social relations that created art, and bestows on it an agency to mediate social relations. I would add that technology also enhances social agency. Technology frames new sets of social relations rather than just facilitating them. Iranian “cultural ambition” incarnates in various technological realms as well as politics of identity and fiduciary plans. Digital technologies have dominated the transnational landscape, in terms of circulation of art, production, and formation of new practices. Traditional public spaces such as museums and galleries have been active as well. Furthermore, “underground production” should not be understood literally. For the rest of this article, I discuss how new and old practices come together through aesthetics and politics. My first ethnographic exposure to this emergent cultural ambition was formed in New York City around 2001. A group of artists, led by Shirin Neshat, used alternative spaces of production to challenge the mainstream visual culture of Muslims. They played with aesthetics of veils, religious piety, and gender segregation among other things to show how stereotypes can be turned around and be used to invite the audience for critical reflection. This coincided with 9/11 and the beginning of the war in Afghanistan. In 2001, I performed in a “Logic of the Birds” performance (based on Manṭiq-uṭ-Ṭayr, an eleventh-century Persian Sufi poem by Farid-u-din Attar) by Neshat and her collaborators. This was a multi-sensory performance of film, sound, and movement. It was also the beginning of her multi-screen installations. During one of the nights when we were rehearsing, an intense conversation broke out among the performers: should we continue? We had little understanding of, but feared, the Islamophobia that was beginning to surface in a completely new way. The twin towers had just been attacked in New York, a tragic and confusing event. The artist’s local community was very much affected, then later emerged stronger. The event took place in The Kitchen. All shows were sold out, an astonishing debut for a new era for the production of aesthetics and politics. “Logic of the Birds” was the Ur event of this new era, at least among Iranians. The aesthetics and politics of Iran, Islam, and the West formed a new connection after this event. The US had begun playing a more active role towards Iran, which oscillated between rapprochement and war. This approach was tested differently in Afghanistan. On the one hand, its invasion of Afghanistan unleashed a new era of politics in which the US and its allies took an aggressive stance towards Muslim majority nations. On the other hand, the politics of Islamism began to enter the realm of aesthetics. In the US, while Islamophobic sentiment grew, aesthetic forms from Muslim world became an important cultural consideration in institutions of cultural making, such as museums and festivals. How can we understand the use of religious themes in these emerging artworks? These earlier cases of politicized aesthetics such as “Logic of the Birds” were ignoring the meaning of scripture, as it is evident in the work of Shirin Neshat. This is to build a new sensible world, not to conceal the real meaning of the original texts but to give the audience a chance to imagine new meaning. As Rancière suggests, the aesthetic of ignorance is to overcome the hierarchy of knowledge and to break away from established rules. The aesthetic of ignoring the established meaning of scripture, hijab, and gender roles is about neutralizing the established rules to open alternative discussion. …refers to the way in which the meaningful fabric of the sensible is distributed: a spectacle does not fit within the sensible framework defined by a network of meanings, an expression does not find its place in the system of visible coordinates where it appears. The dream of a suitable political work of art is, in fact, the dream of disrupting the relationship between the visible, the sayable, and the thinkable without having to use the terms of a message as a vehicle…. Instead of focusing on meaning of the images, dissensus and heterology point to the act and performance of the art that in the process destabilize those meanings. In the revolutionary moment, modes of artistic expressions register a kind of traumatized or ruptured society; artists often use their bodies to express forms of affect. In post-revolutionary times, this gets translated into meta-political space, a kind of second-order politics in Rancière’s sense. Since the fall of the Soviet Union, there have been two major changes that have implications on cultural practices. These are the rise of Islam as a political and cultural force and the emergence of the Internet technology that form the context for artist practice. The technological context for the Iranian Revolution of 1979 consisted of mass-media, on the one hand, and cassette player technology on the other hand . A technological shift in circulation and communication had occurred, from one-to-many to many-to-many. This is a paradigm shift in how content flows, from media-specific devices (like radios or televisions or cassette players) to devices that can run multiple technologies (smartphones, computers). In this shift, the simple boundary between top-down (or state) and participatory media breaks down. In the convergence mode, mobile technologies have enabled individuals and groups to interact in a particular configuration of space, time, and place. These shifts have led to emergent discursive practices in cultural production. In the realm of the visual, as it happened in the Iranian presidential election of 2009, images flowed from mobile technologies to the Internet and onto different Web-enabled technologies such as YouTube, Twitter, Web blogs, and various social networking sites. Raymond Williams argued for emphasizing social practice when discussing media. The notion of practice fills the gap between individual agency and the state; it situates the opposition in a network of active discourses, expertise, and social movements. I argue that the notion of circulation in new media and theories of representation both are insufficient to address the impact of digital culture on protest art and its effect on the public sphere. I propose a theory of practice that accounts for new forms of social practice that is based on a convergence mode of production. My approach here is to expand the notion of practice (media is always already a social activity) to materiality and technology. In convergence culture, attending to both practice and various mobile technologies helps us avoid easy conclusions such as these are democratic technologies and there are technologies of resistance. Technology as a form of “cultural ambition” is present among Iranian diaspora. Technology as a frame for advancing Iranian “cultural ambition” emphatically emerged during the 2009 election. The online digital environment provides a transnational space not only for the circulation of images but also, and more importantly, for their production. Political cartoonists and graphic artists (most of whom have gone into exile) especially moved to the online environment to both produce their protest art and circulate it through social networking sites such as Facebook. In addition, after Mousavi’s camp promoted the slogan, “media is you,” amateur graphic artists flourished online, producing political posters. For instance, the Facebook group Iranian Graphic Artists became the repository of 2009 protest posters that self-proclaimed graphic artists, not necessarily professional graphic artists, individually or collectively created and circulated online. Mousavi’s Facebook page itself was created by an Iranian who lived in Germany; because the campaign created no Facebook page, this poster became the Facebook voice of the presidential candidate. Many digital posters appeared after the election, signed with authors’ first names or pseudonyms. Internet sites such as United4Iran.org or rahesabaz.net (the Green Path) were set up by individuals, but are now mostly gone from the Internet and untraceable. In all of these examples, circulation and production merge online. In what follows, I analyze the image-making in the digital environment through one prominent example. Two important icons were the images of Neda Agha Sultan and Sohrab Arabi, protestors who were killed by government forces immediately after the election of 2009. The original pictures showed the two protestors on the street, in action, but later artists used these abstracted images and further worked on them and subjected them to various social and technical practices. Neda was shot within days after the election. As she was walking with her music teacher and observing a street demonstration, Neda was suddenly shot from the rooftop of a building. She fell to the ground and a medical doctor who happened to be nearby offered assistance, putting his hands on her chest to stop the bleeding. Within seconds Neda died. The first images were in a mobile video of her actual death. Other images quickly followed, and Neda’s image moved from the grainy mobile video to artistic experiments in a variety of media: painting, sculpture, cartoons, a slide show, and collage. Two years later, a Google search of her name yields more than 675,000 results; some of the YouTube images have been viewed more than a million times. Neda’s image appeared in perhaps more online forms than any other political image of the post-2009 protests. One of the earliest renditions of Neda was made by the caricaturist Bozorgmehr Hosseinpour, who based his image on the raw mobile video. This was arguably the first abstraction of the actual image, the first aestheticized (though representational) image of Neda circulated online. Using the Internet to circulate street art is an emerging way of linking the street to the virtual world; for example, Banksy, the British graffiti artist, has used online photos of his site-based art to expand his audience globally. In Iran, cartoon and caricature artists—such as Mana Neyestani, who mostly worked for newspapers—started using the online digital environment to spread their art prior to 2009. The place that Neda’s image occupies in the collective imaginary in the West could be compared to that of the Tank Man from Tiananmen Square in June 1989, the young Chinese man who stood in front of a tank to protest the massacre of hundreds of people a couple of days earlier. A few professional news photographers took his picture and smuggled the film out of China. The difference in technological materiality between the two events, Neda’s shooting, and the Tank Man’s protest has been explored by Patterson and Whitehouse. The photographers of the Tank Man had to physically transport their image out of China, and, more importantly, the state could control the access of Chinese viewers to this image. So, while the Tank Man became a symbol of freedom in the West, his image remained out of the mass media and carried no political meaning in China. In contrast, Neda’s case happened in the age of the Internet and YouTube, collaborative work platforms where nonprofessional photographers could transfer, share, manipulate, and appropriate images easily. Thus, Neda Agha Sultan became the iconic image of the post-2009 election both in and outside Iran. One of the main organizing affective devices for these visual works has been the Karbala paradigm, the martyrdom of Imam Hossein (the third Shiite imam) as a meta event of injustice. At the time of the revolution, activists used the allegory of Karbala to liken the shah to Yazid, who committed horrendous injustices. Allegorical references to the martyrdom of Imam Hossein were central to political aesthetics both historically and especially after the revolution of 1979. After the revolution, though, its uses could no longer be distinctly associated only with religious groups. In the aftermath of the election of 2009, these allegorical references became more contested. There is more diversity in their usage. A few artists created YouTube collages in which they have tried to challenge the secular versus religious division, targeting the state’s exclusive right to use the Karbala paradigm. As Mousavi tried to revive revolutionary mottos from 1979, artists and activists found the online digital environment to be a space of incarnation of aestheticized politics where they could assert that state-sponsored political slogans deviated from their original meanings. Mousavi’s revival of the paradigm, they could say here, was an act of proliferation and subversion of religious symbols. One of these materials is a video collage by Reza Deghati. Consider the image from the video shown in Figure 5, in which Neda’s face is superimposed on every woman’s face in the frame. This frame is taken from a popular rendition (widely circulated, online and offline) of a late-19th-century depiction of the Imam Hossein’s household in Karbala. The original popular rendition shows only the tents and the women who are facing Zuljinah (the imam’s horse). Zuljinah is bringing the news of the imam’s death to the household; it is the marker of tragedy and injustice. In the original drawing, to the right of Zuljinah, there is no one, just the landscape. In various collage techniques that Deghati applied to the original, he added the face of Neda to the scene. In addition, farther to the right in this image, modern anti-riot forces (a collage of actual images of riot police in Tehran during the 2009 election) are attacking protesters. The video continues, including various images of individuals who were killed during the post-election demonstrations of 2009. Although the images are not animated—they are laid as wallpaper or tableaux in a coffee-house painting style (this genre of painting, usually displayed in public spaces, sets a mood of nostalgia and remembrance of the past)—the YouTube format creates an animation effect with familiar warm colors of red and yellow. The elegiac music that complements the images is a mix of songs that are associated with mourning during the commemoration of the Karbala event. In the aftermath of the election of 2009, particular social practices merged with technology to simulate another revolution in Iran. Images became live: sometimes they became objects with which Iranians in Iran and its diaspora expressed their opposition and imagined a democratic future, and sometimes they became detached from what was happening in the streets of Iran. To outside viewers, such a digital revolution can eclipse what actually happens on the streets. The transnational audience is likely to forget street life in favor of what they see, read, and hear online—to read the online material as mirroring actual experiences. After the Arab Spring, the street social movement in the United States reemphasized the importance of location, as in Occupy Wall Street. It is important, however, to understand an emerging form of image-making, through digital and internet platforms which frame media practices. Some emergent elements of image-making are worth summarizing here. First, the digital environment encourages collaborative work while relying on a dispersed mode of production (people connecting from many geographical areas). Secondly, the digital processing makes simulation – that is, imitating a particular form or model in a computer environment – possible, which in turn, adds a new dimension to representational art. Thirdly, simulation creates the possibility of what W. J. T. Mitchell calls an image-thing, a concept that speaks to how contemporary media is addressed by its audience. In this concept, viewers (including other artists) have opportunities to interact with the image. I would argue that because these images are produced in a convergent mode of production, their signification is always emergent—that is, they can be religious, secular, and subversive, depending on the context and audience. In this way, a representational analysis is insufficient. One of the arenas of artistic activities in Iran, has been referred to as “underground” after the similar space that existed in the Soviet Bloc, before its fall. Underground is often characterized as an illegal product: those that do not pass government censors have to relocate to space outside the purview of the authorities. If the previous Cold War created underground music to create a counter-culture, the new Cold War has produced an “underground” that cannot simply be located physically, nor in terms of its value as a political opposition to the state. Much of the Iranian underground is transnational. A digital archive of Iranian cultural product virtually exists and defies a physical space. I argue that the cognitive and affective categories of Iranian culture that lead to forms of art are essential to understanding this new Cold War condition. I situate artists’ work not in resistance and oppression but in the everyday experience of ideology. I use the important distinction that Peter Sloterdijk has made between cynical reason and kynical creative process of self-making. Below, I explore the creativity of the underground in Iranian cultural categories such as khalvat and rendi. The transformation of the publics after the Iranian Revolution of 1979 is essential to understanding the relationship between the public and private realms. One of the earlier linguistic works on affect and space in Iranian culture is conducted by William Beeman; for example, as a socio-linguist, he argues for an emotional frame of Iranian interactional situations. In this frame, the outward (zaher) and inward (baten) world of persons together define the quality of interaction. Baten is recognized as more pure and sincere, and zaher as more superficial. Architecture provides another spatial metaphor that is rooted in mysticism. In Islamic mysticism, the concept of khalvat (roughly translated as solitude) is central to something closer to the underground in the Iranian cultural context. Khalvat is a spatial concept that signifies a form of withdrawal from the business of public spaces to privacy of the centered self, a meditative act towards truth (haq) by way of secrecy. There are two kinds of khalvat, khalvat of zaher and that of baten. The khalvat of zaher is simply when one removes oneself from the gathering of people. The khalvat of baten is mediation of secrets of life and witnessing truth. In the second form, there is a sense of zen-like existence, where one witnesses the appearances but one’s heart is with a higher meaning of existence than only the appearance of things. This cognitive discourse of knowledge is manifest in architecture as well. Maymaneh Farhat argues that in Islamic architecture, khalvat (that structurally plays between zaher and baten) is the focal point and sanctum towards the multiplicity of existence, which is often achieved in dome design. In this sense, the underground, affectively, is a space of creativity that removes the artists from guise of government regulation to the emancipated space where the artist freely experiments with possible forms and norm. There is also another relevant term, rendi which chiefly appears in poetry of the 13th century poet Hafez. I argue that rendi is an important term to understand the Iranian underground. Hafez uses rendi as an embodied cognitive practice to break out of the bonds of established rationality. Rendi means “slyness” and a rend person is sly. The characteristic of rendi is associated with detachment from conventional forms of social existence that are associated with zaher. Rendi is linguistically structured in the Persian language from a range of “street smarts” to a form of creative act that ultimately leads to higher moral value. This existential move is to bring back the Dionysian laughter to a concept of modernity that is caught between secularism and Islamism. As Sloterdijk argues, cynicism is the false consciousness of the Enlightenment. He wants to counter the cynicism of everyday life with a kynicism of laughter. This is an argument for a place for the body and senses in the enlightenment discourses– not self-denial. One of the foremost ethnographic examples of underground production is the phenomenon of Mohsen Namjoo. He is musician and lyricist who has begun his career in literal underground spaces of Iran, later moved to the US to establish himself as a transnational artist. His work embodies what I am theorizing here. Namjoo himself historicizes his work and situates it within the evolution of poetry in Iran. He claims that people first doubted they could do anything with Persian new poetry – i.e., Nima Yushij’s poetry. He suggests that with the publication of Barahani, Chalangi, and Royai who have paved the way for new ways of looking at poetry this mindset started shifting. All-the-sudden there were words that convey feelings (tabayoni) rather than describing the feeling (tozihi). In a series of haiku-like evocative words, he conveys an affect – or what he calls tabayoni words. The effect is the condition of modernity for Iranians – constantly in translation and transition. The dilemma for him is not to be in denial of this condition but to work through it. In this example, the underground is where this denial which is the condition of post-revolution Iran, is restored. It is interesting and relevant to Namjoo’s work that a genre of writing emerged in the sixties Iran that was a combination of caricature and text – karikalamature. This genre was associated with Parviz Shahpoor who used to write in a comic magazine, Tofigh. Karikalamature was a kind of satire of social criticism pointing at this bricolage of norms and forms. Namjoo’s songs are very similar to this bricolage. He combines not only traditional poetry and new poetry, but also music, such as jazz, blues, rock, and Persian classical. He suggests that he has broken the connection between the rhythm and lyrics. Works such as the ones produced by Namjoo vacillates between the cynicism of everyday life and the creative force that karikalamature exemplified. I have pointed to the creative aspect of his work that has universal aspiration, and how it is grounded in Iranian culture as well. It remains to be seen how they will evolve in dialogue with diaspora politics. In addition, the underground as a self-descriptive and existential referential category remains important whereas I would argue against it having an ontological place in opposition to Islam. Central to practices of art-making are modes of representation and exhibition. Curating, the practice of bringing together artwork (and now most cultural events) can teach us how to trace the source of the money as well as the discursive practices of representing art. To understand curation is to understand the practices for the distribution of sensible, which, according to Rancière, means that what is rendered visible and invisible follow a particular regime of representation. Curating cultural productions, that include a range of music, poetry and many visual events, became the hallmark of public spectacle connecting Iran and the West. Cultural diplomacy during the Cold War between Iran and the West began taking shape after September 11, 2001, when George W. Bush promoted the idea that the Iranian diaspora had become a defining force in this dialogue. This was the beginning of a range of institutional shifts that indicated that a thaw between the two countries had begun. Museums became interested in contemporary Iranian art. Galleries in New York, London, and Los Angeles began exhibiting Iranian visual art. Universities turned over a new leaf in favor of renewed Iranian studies. Such programs, wiped out in the 1980s, began to re-emerge with the financial support of the Iranian diaspora. Part of my argument here is that worlding with images happens in the context of institutional and curatorial practices. Specifically, curating visual culture has become central to a dialogue between Iran and the West. I use curation to refer to a process of cultural production in the late capitalist condition where people bring together individual forms of expression, critical discourse, and politics of aesthetics in a public space. To “cure” and “care” are etymologically similar. The idea is to bring seemingly unrelated objects, texts, and people together to curate/care/create work of art. In the context of Islamic(ate)/Islamic political challenges to western secularism, visual culture is a site where diasporic Iranians articulate emergent identities. Literal sites of this work include venues of Western cities: galleries, museums, university halls, screening rooms, and foundations. Earlier, central themes of the visual material included the veil. Artists post-revolutionary experiences blurred Western interests in Islam and Iran. This was a crucial moment in curating Iran and Islam and an ambiguous one. I think the early phase in the shift in distribution of the sensible (i.e., politics of aesthetics inclusion and exclusion) in the US was important not because Islamic(ate) signifiers appeared in the contemporary art form, which has happened before, but because a new confluence of experts (art historians, gallery owners, composers, videographers) have come together to collaborate in this new shift in representation from Iran and other Muslim-majority countries. No longer the insistence by museums, galleries, and performance spaces on historical aesthetics of the past, no longer familiar Oriental program music, veils, domes, minarets, turbans, and scimitars; instead we now have contemporary cutting-edge avant-garde experimentalism. Two major exhibitions in the US, first in 2004 at MOMA NYC, called “Without Boundary,” and a second in 2015 at LACMA (Los Angeles), called “Islamic Art Now,” reinforced Islamic art as a category still operative in the contemporary curatorial imagination, if newly open to an anthropological understanding of revelation as an access to alternative norms for living in the contemporary world. Of course, Islamic art can be modern in the sense that forms of Islamic aesthetic traditions have extended into the modern moment. But can Islamic art be also contemporary in the sense of addressing new problems of a changing world? I have already been using Marshall Hodgson’s term “Islamicate” to distinguish the religious category Islam as a temporal and cultural category, an aesthetics in Rancière’s terms that changes over time, a metapolitical set of discourses. Here I want to also invoke, with modification, those of Shahab Ahmed for upholding Islamicate as an important category that includes revelation. I would modify this to revelability: revealing other norms and forms as sources for the contemporary imagination. Anthropological literature has begun to address this emergent space of art that includes experiences of religious faith or uses Islamic(ate) cultural settings where cultural forms and the politics of the everyday come together to suggest alternative visions. For example, in the first exhibition of 2004 at MOMA, among the artists included in this exhibition were Shirin Neshat, the Atlas Group/Walid Raad, Shazhia Sikandar, Marjane Satrapi, and Shirana Shahbazi. Their works represented a wide range of style and degrees of more or not-particularly-political signifiers. The funding came from a range of sources, including ethnic foundations and individual donors such as the Persian Cultural Foundation and the Namazee family. Viewers can immediately recognize the kinship among these disparate works, connecting it to contemporary political situations in the Muslim world or the US. And yet the styles of representations are so diverse that one must ask what brought them together under the same roof. The work of, for example, Shirin Neshat or Marjane Satrape are so nuanced and textured that one cannot only attribute them to politics. I argue that they share an emergent aesthetics that combines Islamicate and other forms to create a potent form of critique. I suggest that curation has become part of a wider assemblage of artistic production, archiving and the underground. By around 2010 on, Iranians both in the diaspora and Iran, have shown interest in archival projects and databases as forms of collective cultural memories. In both the diaspora and Iran, the interest partly stems from the fact that the revolutionary regime has put the pre-1979 history under a meta-narrative of state and thus facilitated the erasure of possible stories. The hauntology of this past, not so distant, is a productive space: oral histories; biographies; memoirs; and now with the advent of the internet, we have raw audio/visual material of the pre-revolution in terms of film, Youtube uploads, pictures, and music. The research for this project was spread over a long period (10 years) while moving from one city to another for teaching jobs beginning in New York in 2001 and ending in California in 2007. Methodologically, this project relied on participating in the works of art, playing the role of curator, observing others, and conducting many interviews, in the US, Iran, and other parts of the Middle East. The conclusions will result in a book but this article addresses some critical points that will be presented. This research builds on some of earlier works on visual cultures of Iran. The study of visual culture in relation to Iranian politics came to maturity after the revolution. By adopting semiotic approaches authors such as Fischer and Naficy focus on the socio-cultural meaning of images rather than the literal interpretation of images. First, the work of Michael M. J. Fischer on the Iranian revolution and semiotics of posters, stamps, and words in the revolution is significant. In addition to this, Fischer’s later work on Iranian cinema uniquely established continuity between cinema and culture. Secondly, the work of Hamid Naficy that began as semiotics of Iranian cinema and media, later focused on the history of Iranian cinema. One major emphasis on his work was the transnational nature of cinema and media, particularly modes of production and circulation. By 1990s he argued that there were new forms of practices arising in transnational settings. This work, here, expands on what Naficy has done, focusing emergent practices (from accented mode to cultural ambition and digital technologies). Asking questions concerning emergent forms and styles, this research focuses on the role of technology. How does technology frame culture and give rise to new forms? To this end, in the book, I will explore how religious ritual transforms with technology and how autoethnography becomes stylistic preference in the context of digital technology. I argue that technology gets appropriated for advancing cultural ambition. Since the early 2000s, the work of Iranian visual culture has been significant culture-making practices in transnational settings. These practices have merged with digital technologies to advance a cultural ambition unprecedented in the contemporary history of Iranians. This cultural ambition has also been merged with political spaces. Technologies and different political articulations have framed and challenged artistic productions. Artists, like anthropologists, have to understand their politics of representation. I have been arguing that aesthetic practices in knowledge production are key in understanding the Middle East. As an anthropologist, I would like to highlight the parallel between the anthropological practice of ethnography and the artistic practices of social, political, and conceptual art. This work situates the artistic production of Iranians in its transnational context where emergent forms of aesthetics and curatorial practices merge with artists’ experience of the diaspora. The result vacillates between the meta-political appropriation of politicized art and creative practices of critical art. Marguerite Duras, Hiroshima, Mon Amour, directed by Alain Renais (1959; France: Argos-Films), Film. This article is based on my forthcoming book, What People Do with Images: Aesthetics, Politics, and Production of Iranian Visual Culture in Transnational Circuits. In Press, Sean Kingston Publishing, UK. Jacques Rancière, “The Aesthetic Dimension: Aesthetics, Politics, Knowledge,” Critical Inquiry 36, no. Autumn (2009): 1-19. See Manthia Diawara, African Cinema: Politics and Culture (Bloomington: Indiana University Press, 1992. 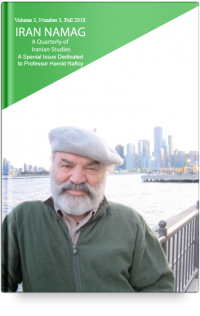 See Hamid Naficy, Accented Cinema: Exilic and Diasporic Filmmaking, ed. Hamid Naficy (New Jersey: Princeton University Press), 2001. See Brian Larkin, Signal and Noise: Media, Infrastructure, and Urban Culture in Nigeria (Durham: Duke University Press), 2008. Alfred Gell, Art and Agency: An Anthropological Theory (Oxford: Clarendon Press, 1998), 7. See Jacques Rancière, The Politics of Aesthetics: The Distribution of the Sensible, trans. Gabriel Rokhill (New York: Bloomsbury, 2004). Jaleh Mansoor, “Shirin Neshat,” ArtForum April (2008), 365. Rancière, The Politics of Aesthetics, 63., 63.Rancière, The Politics of Aesthetics, 63. Raymond Williams, “From Medium to Social Practices,” in Marxism and Literature (London and New York: Oxford University Press, 1977), 153-64. Reza Deghati, “Neda of Ashura.” http://www.youtube.com/watch?v=Mv9ehsW6PN8&feature=player_embedded#. Margaret Jones Patterson and Virginia Whitehouse, “The Power of Tank Man Versus Neda: How New Media Ironic Images Penetrate Censorship and Indifference,” (Unpublished work, 2009). Mazyar Lotfalian, “Aestheticized Politics, Visual Culture, and Emergent Forms of Digital Practice,”International Journal of Communication 7, (2013): 1371-90. See W. J. T. Mitchell, What Do Pictures Want? The Lives and Loves of Images (Chicago: The University of Chicago Press, 2005). See Peter Sloterdijk, Critique of Cynical Reason (Minneapolis: University of Minnesota Press, 1988). William O. Beeman, “Emotion and Sincerity in Persian Discourse: Accomplishing the Representation of Inner States,” International Journal of Socio-Linguistics 148 (2001): 31-57. Khosrow Zafarnavaie, “Khalvat in Islamic Mysticism (Khalvat Dar Erfan E Islami),” Professional Journal of Religion and Mysticism (faslname takhasosi e adian va erfan) 7, no. 25 (2010/1389). Maymanah Farhat, “Khalvat: Towards Meaning,” The Third Line (2014), <www.thethirdline.com>. See Daryoosh Ashouri, ed., Mysticism and Rindi in Poetry of Hafiz (Tehran: Markaz, 2002). Peter Sloterdijk, Critique of Cynical Reason, xii. These observations are taken from Mohsen Namjoo’s personal notes from his workshop at Stanford University, Persian Studies, 2009. See Fereshteh Daftari, Without Boundary: Seventeen Ways of Looking (New York: The Museum of Modern Art, 2006). Marshall G. S. Hodgson, The Venture of Islam: Conscience and History in a World Civilization (Chicago: University of Chicago Press, 1974). Rancière, The Politics of Aesthetics 12. Keneth M. George, Picturing Islam: Art and Ethics in a Muslim Lifeworld (Malden, MA: Wiley-Blackwell, 2010). See Michael M. J. Fischer and Mehdi Abedi, Debating Muslims: Cultural Dialogues in Postmodernity and Tradition (University of Wisconsin Press, 1990); see also Naficy, Accented Cinema: Exilic and Diasporic Filmmaking.